We also supply top boards and pallet collars, together with the appropriate heat-treatment certificate. 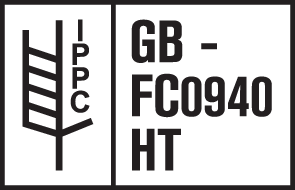 In preparation for the growing need to meet European and International Standards, we are pleased to offer our fully comprehensive range of heat-treated wooden pallets that conform to Forestry Commission and ISPM15 standards. For further information or for a quote, please contact our Sales Department on 01582 871000 – or email us at carl@mluttandsons.co.uk.